Gardening is that one hobby I want to be good at and yet…never am. Seriously, I kill everything. If there was an opposite version of a green thumb, I have it. That said, I love gardens! I love the idea of going and picking fresh herbs and flowers you’ve grown yourself, and the pride and joy (I imagine) that comes with that. So, today I am beginning again. I am officially starting a garden. 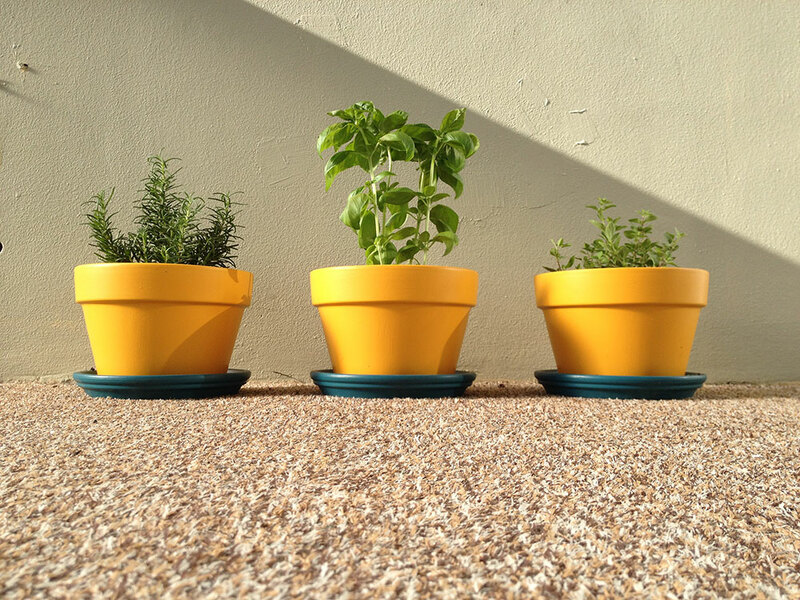 An urban herb garden. 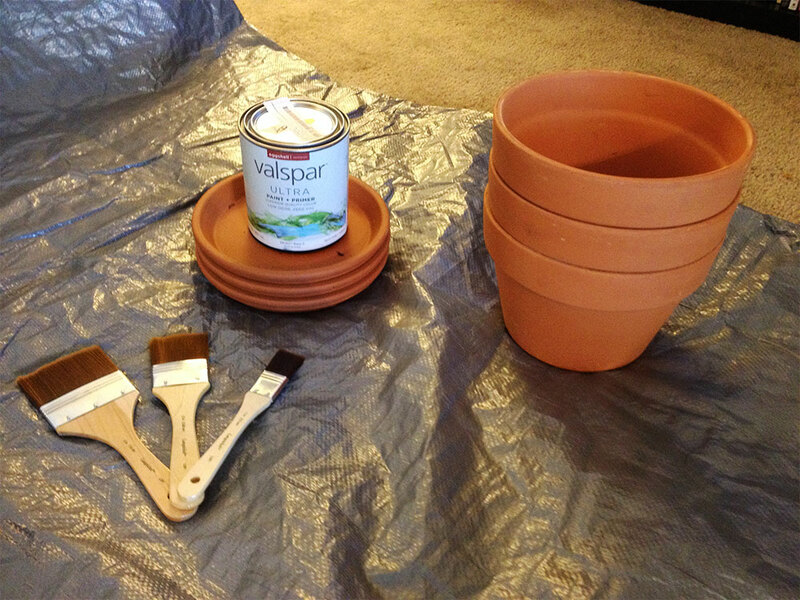 Ok, so it’s three potted plants…gotta start somewhere, right? 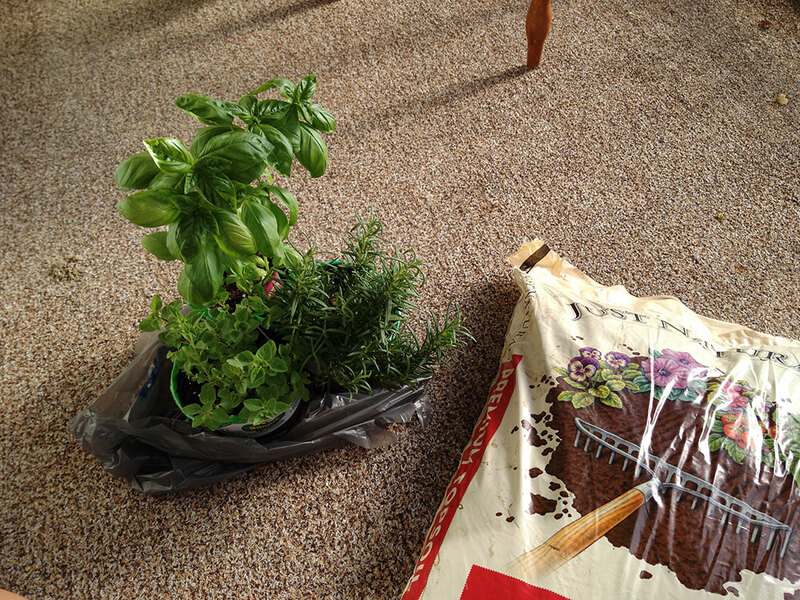 I cheated too and bought already sprouted herbs. Next time I’ll try starting from seeds, but this time I needed all the help I can get. 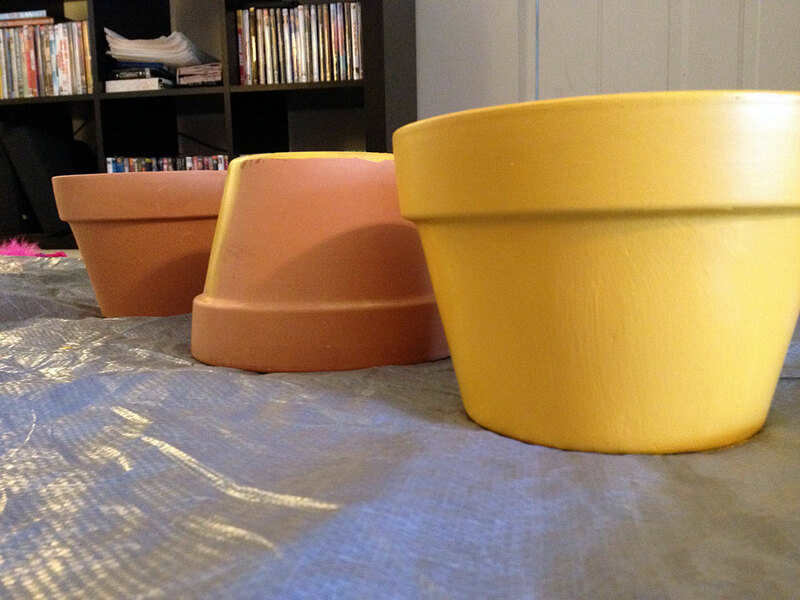 To make the clay pots prettier, I painted them with some yellow paint I had left over. And the bases I painted blue for some contrast. 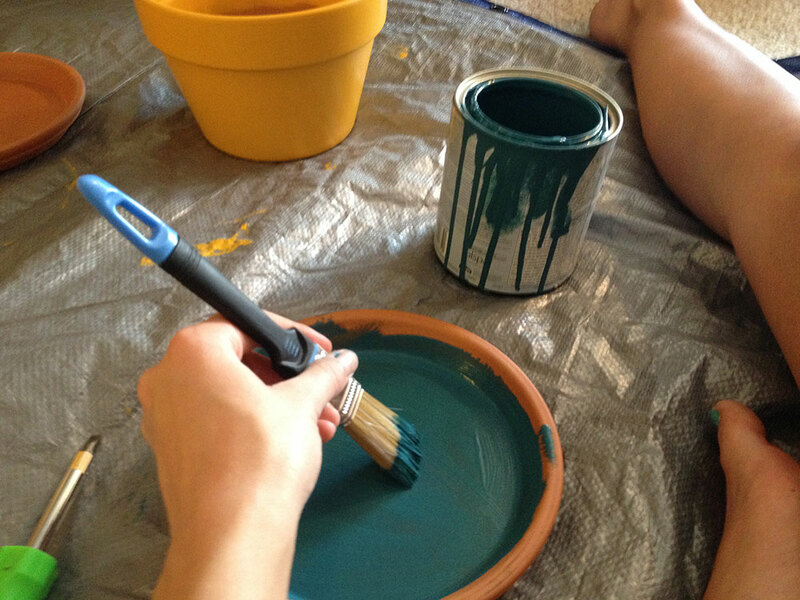 I painted the yellow down about halfway into the pot, so when the soil was added, no clay would be showing. 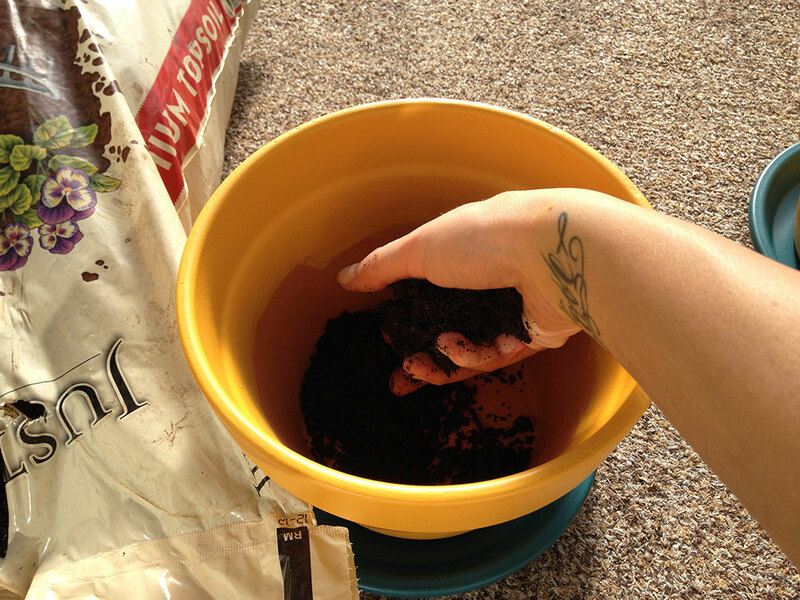 Then just got some top soil, planted and watered, and wala! Garden. Mini garden. 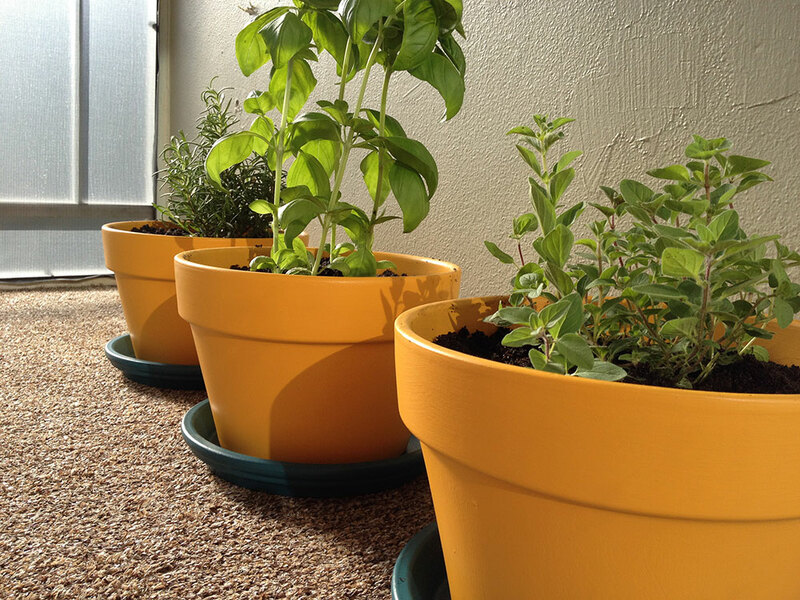 I started with sweet basil, oregano, and rosemary – three of my favorite herbs.